1. Holi One, Sao Paulo. Inspired by the Indian Festival of Holi, Sao Paulo’s Holi One promises to pack a punch and colors to paint Sao Paulo in the colors of festivity. The festivals main motto is to promote brotherhood and of course, the beauty in colors. Its the Holi One promise to Come in White and Go out Colorful! Get ready to enjoy the time of your life with an artist line-up of Aline and Sune, Bhangra Brothers and DJ Tom K, Diego Miranda, Felix da Housecat, Klangfunken, Hard Rock Sofa, Goodluck, Sadhu Sensi, The Chainsmokers and many more. 2. Festival Of Colours Tour, Berlin. This festival, started in Berlin, has now become a mass hit with people of Mexico, Argentina, France, Brazil, Greece, Italy, Ireland and the list goes on. You are bound to have a good time with Aka Aka, Benga, Feadz, Juan Sanchez, Honka, Das Bo, Kele( Block Party), MistaJam, Modek, Panjabi MC, Superflu, Umami and others. 3. Da High Holi Music Festival 2016, Ghorpadi. 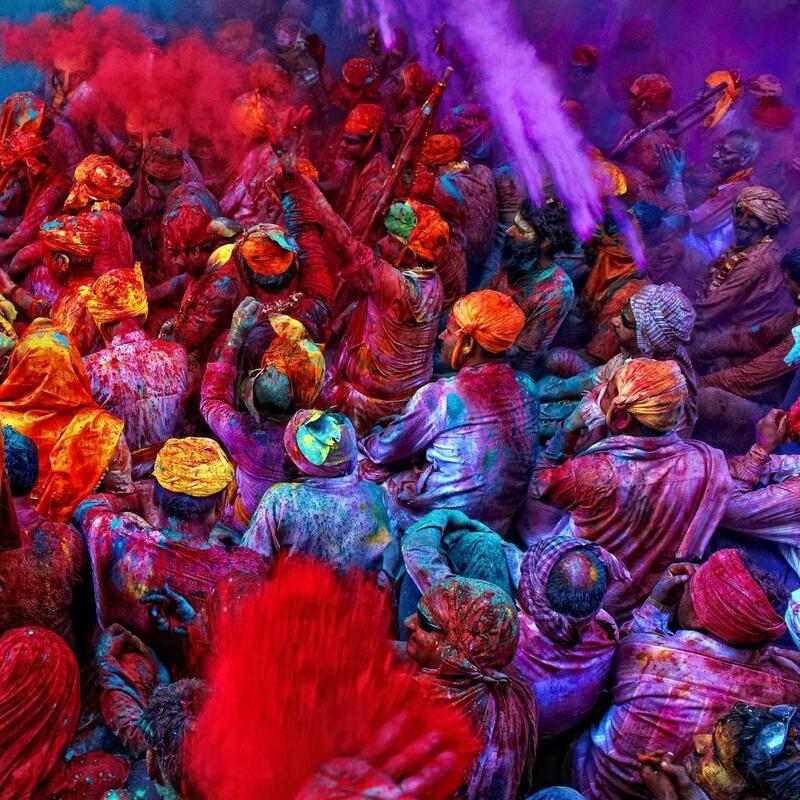 This is an Indian Festival and vows to be whacky, tacky and give an out-of-the-world Holi experience! Have a break from the average Holi and try something outrageous at this fest. Awesome as they sound, you have better reasons to join in because its all about Live Music and celebrating Holi in its true sense. Kabir Cafe, Anish Sood and Live Banned are set to get you dancing and coloring up everyone. 4. Holishit Music Festival, Delhi. Go Desi in the capital! With the Indian tadka of Indian food, Bhaang and Gulaal, you’ll also go global with EDM music, live-bad jams. 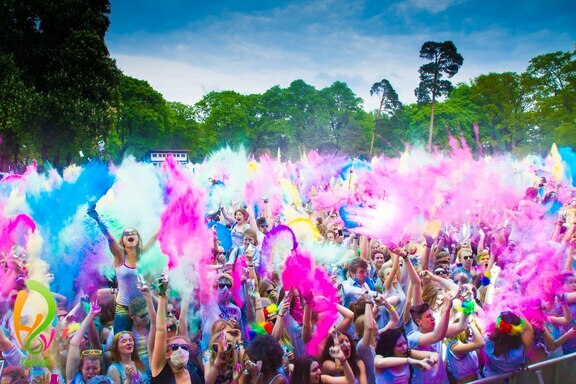 So leave all your colors woes behind and gear up for a festival mixed with craziness and colors. Artists like Suryaveer, RJ Abhimanyu, Rapper Maddy and EDM honchos like Smash, Candice Redding, NDS and Blue, Dallas Kandi promise awesome tracks to make your Holi a moment to cherish. 5. Holi Moo Festival, Hyderabad. 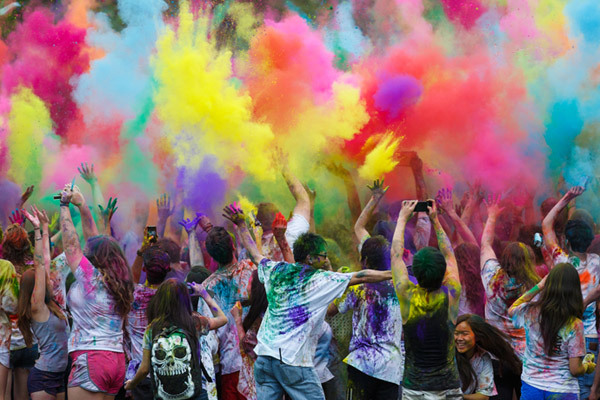 A one-of-a-kind music festival, the Holi Cow festival, better known as Holi Moo festival is set underground. The organizers perhaps wanted to give their lovers an escape from the regular Holi Music Festivals! They go the ‘Moozik+Madness+Color’ way. The wisely curated ‘Holi Barn’ is the attack venue for the ‘Holi Cows’. Get ready to be showered with colorful music of folk, Indian Rock, EDM.